And summer 2016 is kind of a wrap on Thursday (not kind of though, it’s a fact). 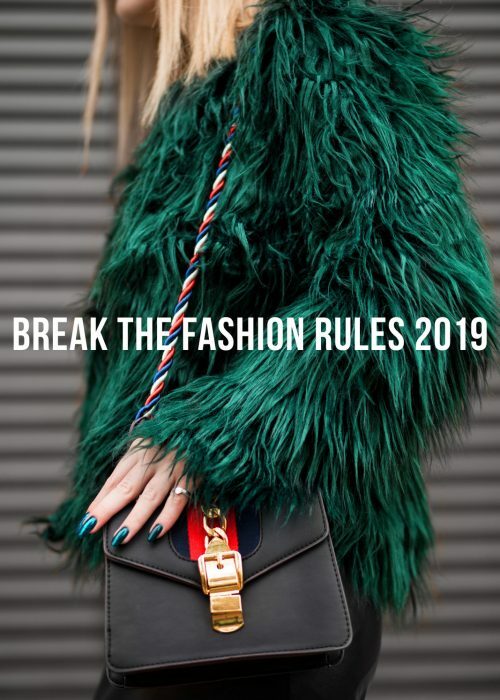 And September is here, fashion weeks are coming and the holidays will be here in an instant (don’t worry though, we won’t buzz about them yet!). But as we’re entering a new season, we’re leaving an old one behind. And it’s so easy to always talk about things that are up and coming when running a fashion and beauty site. But what about the wrap ups? Well, here’s our compilation of the trends of summer 2016. What we’ll remember and why! So this was the summer off the shoulder tops got huge. Every fashionista has been working it, and if you’re serious about your fashion game but doesn’t own one yet, are you really that serious? It has mostly been styled in a feminine way with floral patterns, flowy materials and statement sleeves. We saw them in crop tops versions, dresses and blouses. Playsuits are more or less always trendy in one way or another. But this summer we saw them in a specific version. A wrap model in floral pattern. It was boho, it was a bit of 70s and it was a chic statement indeed! The modern boho look worked perfectly for the summer vibe, and was favorable with pom pom sandals as well as lace up shoes! As the 90s trend is going strong, so does the 90s features favorably. And the chokers were just one of them. Being thin, thick, layers, lace and in velvet the chokers made their big comeback. They worked perfectly with the off the shoulder trend as the contrast between the sharp lines of the necklace and the neckline is a chic one! We probably haven’t seen the peak of this trend yet, or that’s what we’re hoping, but the statement sleeves got their time in the spotlight this summer! Mostly in combo with playsuits and off the shoulder pieces, the sleeves were a nice add to the other trends. Mostly done as bell sleeves, the flowy fabric added a feminine touch as well as a fashionable one. Not being that practical, they are still a fun to play with due to the amount fabric one must work. The culottes began going big during spring, but got their proper breakthrough this summer as well. Being flowy and calf-length, they worked perfectly for warm summer days. They also made a nice balance to the off the shoulder tops and the statement sleeves as the A-line of the culottes balanced the heavy fabric flow. In cute patterns they were a nice adding of life to an outfit, and in feminine fabrics they balanced the edge of the 90s fashion. 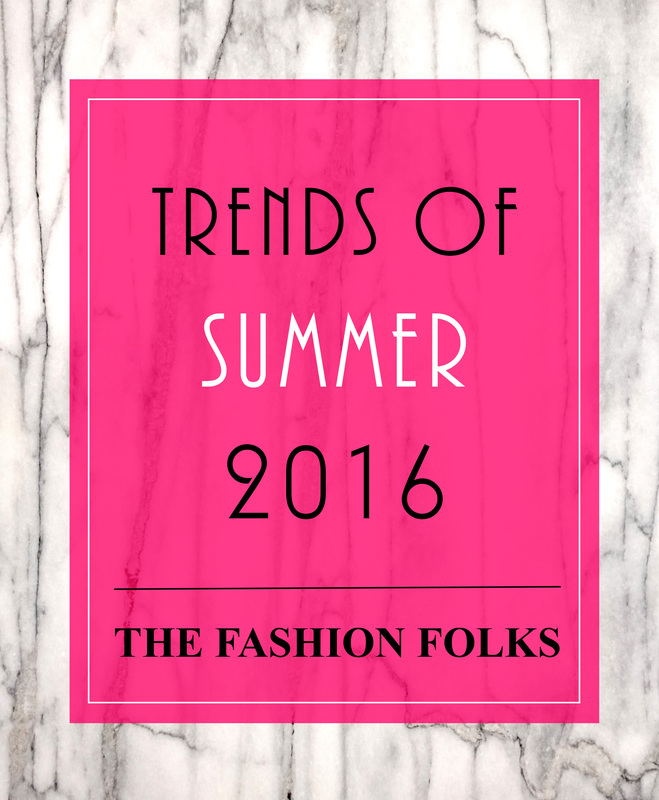 Folks, these are our picks for the trends of summer 2016? 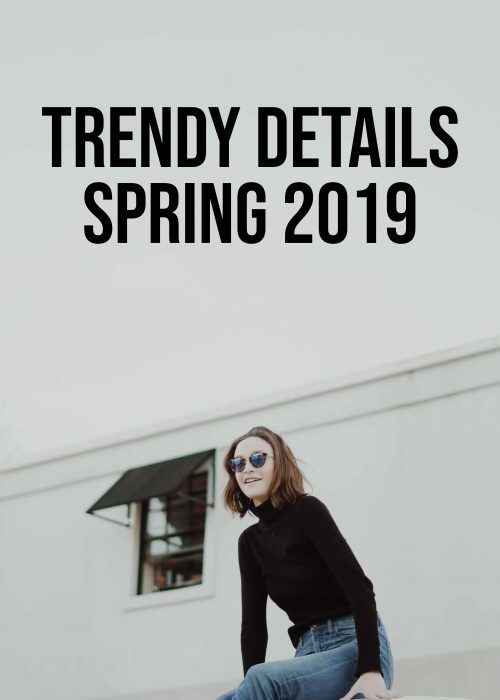 What trends will you remember? These all the trends are symbol for fashion, ever stylish designs…. Amazing trends..Off the shoulders is my favorite one..Thanks for sharing this post.. The off shoulder trend is definitely my favorite! I tried a few of these, but I still need to give culottes and statement sleeves a try! I am on the lookout for a fabulous bell sleeved top! Love this post. I think the only one I’m yet to try out are the dramatic sleeves. Hmm, need to make that happen. Haha. I love the off the shoulder & choker trends. Totally been rocking it all summer. Good post with western outfits but you can also use Indian Ethnic outfits for summer time. The off the shoulder trend was/is my favourite! In fact, I am wearing an off to shoulder top today haha! Great post! You guys literally curate the best styles EVER! Loved this post. Great inspiration for me for future outfit posts on my blog. Definitely saw all of these trends all over the place. Culottes were definitely one of my favorites! I was definitely loving the off the shoulder and culotte trend this summer! The choker necklaces are super cute too! This summer fashion is so fun! I don’t want it to end. My fave is the choker trend. I love this post!!! These are definitely the trends for this summer. This summer has been an enjoyable one when it comes to fashion!! Ah I have everything on this list except the choker! I loved all this trends during summer, hope to still seeing them during A/W in some variations. Ugh if chokers go out I’ll die!!! Okay maybe I’m being dramatic, but still. I will wear them forever haha. Can’t wait to see what fall fashion brings and I am sooo excited for all the fashion weeks!! I really need to get my hands on a choker, I have been seeing them everywhere! The 90’s are coming back! OOOH yeah girl. As usual, this post is total fire. What a smoke show! Love the chokers and off the shoulders.. Looks like I’m going to have to cop some.. Is it too little too late? Still loving off the shoulder!! I found you couldn’t go far without seeing a choker! I did however love the off the shoulder trend and I hope this is something that continues! I really like the off-shoulder trend this summer and also jumpsuits. 🙂 My favourite! Loved your post! a good source of inspiration about summer trends. Off the shoulder is one of my favorites by far…. off shoulder was HUGE! and i loved it! i think the choker trend will continue into fall as well. 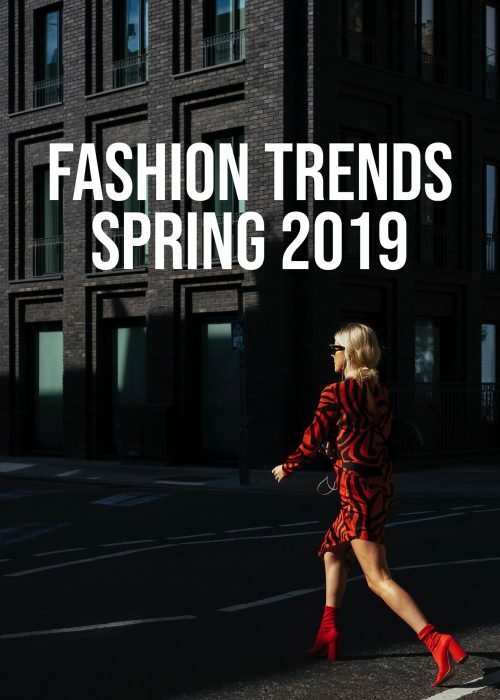 Such a great trend report! Bell sleeves are my fave this Summer! Play suits are my favorite to wear during the summer! I actually wore two different rompers this past weekend! Such a great wrap-up of the season’s hottest trends! Can you believe I’ve yet to rediscover the choker? I really don’t know what that is, but perhaps I will come fall because I’m loving the idea of carrying it over to the season, which by the way I’m SO excited for! Thanks so much for sharing, gorgeous, and I hope you have the best start to your week! I love chockers and off the shoulder tops but playsuits don’t look good on me! I love your re cap of summer trends. I will truly miss summer. Have a nice day. OTS is something I will never stop adoring – planning to wear it straight through fall and winter! Theses trends were so amazing ! I love the statement sleeves. It’s so original ! Of course I’m loving that OTS trend, since my entire closet turned into that this summer! Sad to see it go 🙁 Good news, is that it’s still warm in Orange County for the next few weeks, so I still have time! I will remember all of them, but chokers, off the shoulder and statement sleeves were definitely my favorite. Can’t wait to start experimenting in the fall! I adore the OTS trends seriously so chic and so fab! Also I love the playsuits so fun! hoping playsuits + chokers stay around for fall!!! love this roundup! I am so excited for statement sleeves! I love a good fun top and fun sleeves are so perfect! I can’t wait for the season to start!